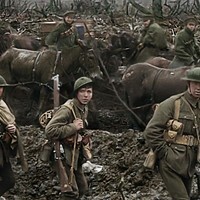 Family Plots | Movies | Style Weekly - Richmond, VA local news, arts, and events. MOVIE REVIEW: Virginia film "Blue Ruin" is an anti-thriller with a hapless hero. Intense thriller “Blue Ruin” features actor Macon Blair as Dwight, an unlikely drifter caught up in a bloody family drama. Shot in Richmond, Goochland County, Alexandria and outside Charlottesville, the film opened at Bow Tie Criterion Cinemas at Movieland last week. 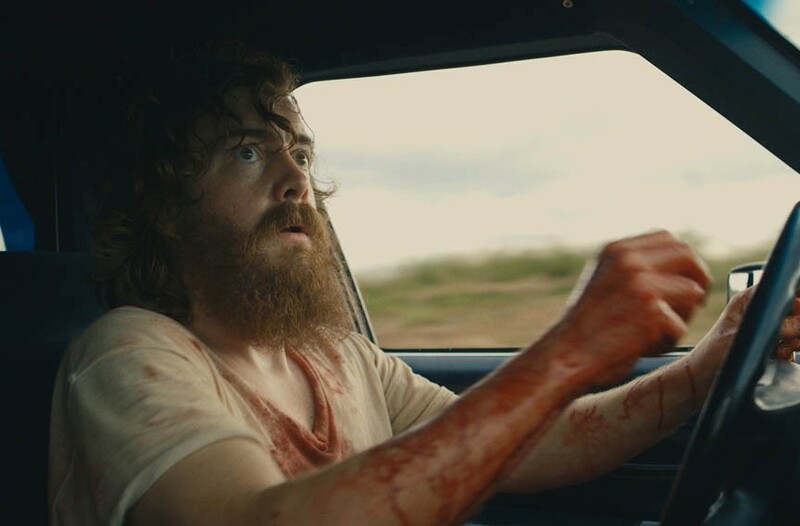 At the beginning of "Blue Ruin," a drifter named Dwight (Macon Blair) learns that the man who murdered his parents is being released from jail. Dwight tracks him to his welcome-home party, where he sneaks in and fatally stabs him in revenge. Dwight is no ordinary killer. Or, perhaps it's more accurate to say he isn't ordinary for the movies, because he's too ordinary, not anything like the usual depiction of a man bent on revenge, which makes "Blue Ruin" anything but an ordinary thriller. During the victim's two-decade stint in prison, Dwight has been a shell-shocked homeless person living out of his car. 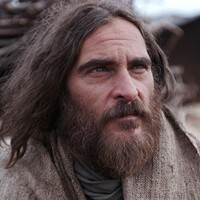 When we first meet him he's fully bearded and disheveled, looking almost like the kind of person who might be violent. But after the killing, he breaks into someone's home and transforms himself, cutting his hair and donning the clothing of an office worker. All of a sudden we see him for who he really is, something like a young and much less charismatic Paul Giamatti. In short, he's just a guy, and that's part of the film's premise: What would a merely average guy like Dwight do in a situation like this, and what would the results really look like? "Blue Ruin" was partially funded through a Kickstarter campaign by writer and director Jeremy Saulnier, an Arlington County native who's been trying to get his narrative filmmaking career off the ground while working as a commercial director. The film was shot in parts of Virginia, including Richmond and Goochland, which create a believable backdrop for a small-town vendetta that erupts into a mess of chaotic violence. 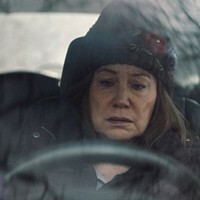 [Editors note: The film was "the baby" of the Virginia Film Office's former industry relations manager, Kathryn Stephens, who passed away from breast cancer at age 33 right after "Blue Ruin" was placed in the prestigious Directors' Fortnight at the Cannes Film Festival; it also won the jury award at the Virginia Film Festival last year. The filmmakers recognize her in the credits]. Dwight makes almost no attempt to conceal that he killed his victim, and by the time he reaches his sister (Amy Hargreave), he deduces his victim's family, a tight-knit brood called the Clelands, haven't called the police because they have their own extrajudicial plans. While the Clelands descend on Dwight and his family home, the film's main hook is imagining such an ordinary person in this situation. Dwight knows he's now put the rest of his family in danger, but is unsure what to do next and completely unprepared, even as he gropes from one idea to the next. He displays a degree of resourcefulness here and there, but just as often gets out of a jam by pure dumb luck. One of the film's strengths is that it treats Dwight's adversaries equally. Although the Clelands have a reputation for swift retaliation against those who affront them, they aren't exactly trained killers either. During one skirmish, both parties miss hitting each other several times at close range, in a nighttime suburban shootout that's comically realistic for both sides' lack of skill with firearms and tactics. "Blue Ruin" is not formulaic. Best seen with an audience, where the sad humor on display might boil over into laughter, the film sort of fizzles as it reaches near the end for something bigger. Because of budget or storytelling constraints, the film sticks mostly with Dwight's point of view throughout, and for all his chutzpah, Dwight becomes less compelling the more we get to know him. By contrast, his only friend, Ben (Devin Ratray), is much more entertaining, even though he's just as realistic a figure.